We all have them!!! Wheels and rims!!!! Show what you have!!! If you know brand/size/etc...post that too. If not, post what you know about them. If your Monte is up on blocks, hey that happens sometimes..POST THAT TOO!! 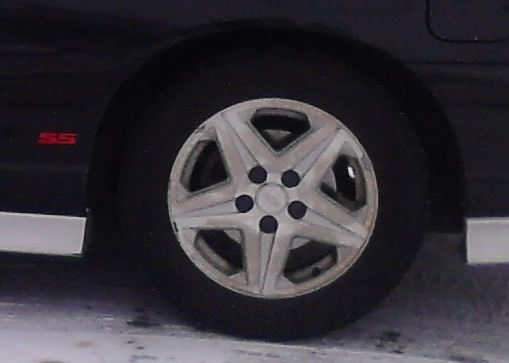 My rims on the 84 are American Racing but I have no idea what model. I got several extra rims now. 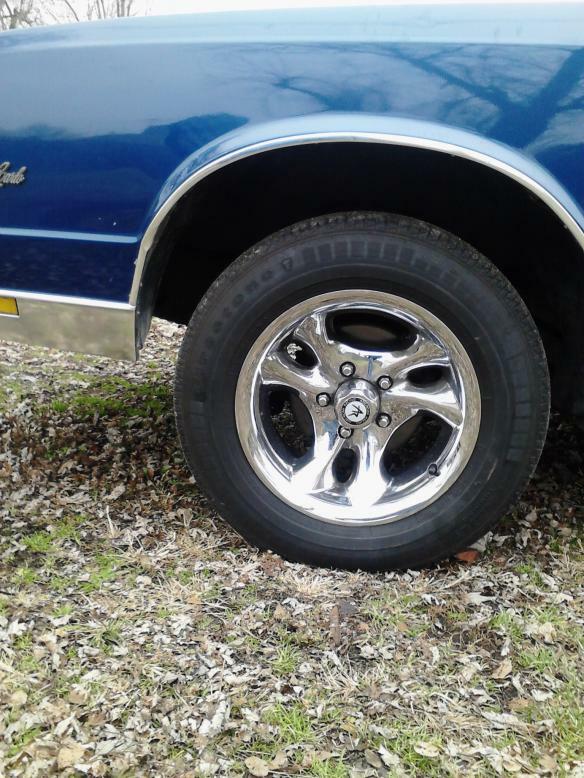 I have a set that came off my Oldsmobile which I thought were cool so when I took it to the Salvage Yard I kept the rims. On the Monte I have the set that came with it. and I modified the cap with a #3 and also carbon fibered the bowtie. Then I bought a set of the diamond cuts like you have on your Monte I like the looks of them. These will clean up. You can use acetone on them to remove the clear coat then use a good metal polish to restore the finish. Then clear coat them again. you are all set. On these I have Red accents on the car so I got Red anodized or ( Red Chrome) Valve stems and caps. 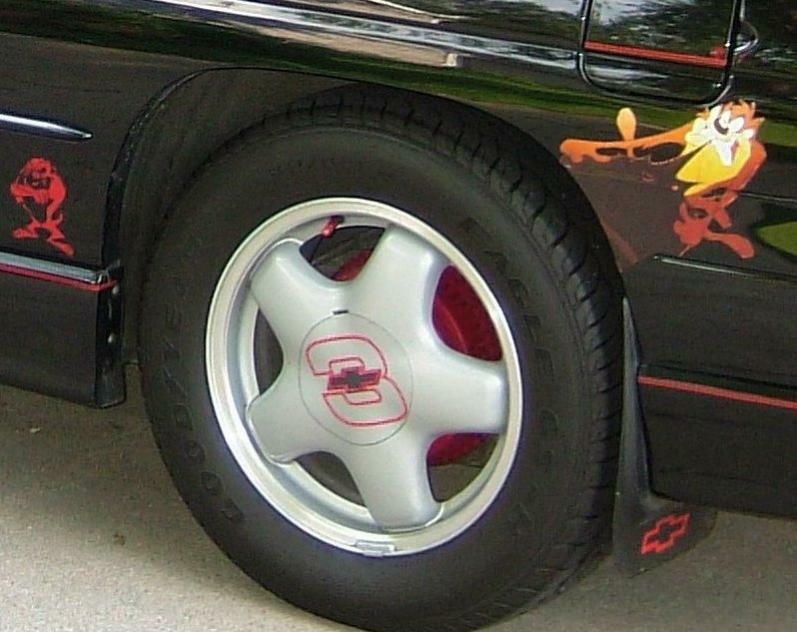 Then I took a small intimidator decal and attached it to each wheel on 1` of the spokes. I am thinking about Red Chrome lug nuts but don't know for sure yet???????? These will clean up. Use acetone to remove the clear coat, then polish the metal, once it looks good again re-clear coat them. I feel like this thread might have happened before. But I guess that's gonna happen when you're "forum-old". The rims are 16" Primax and took 3 months to get. 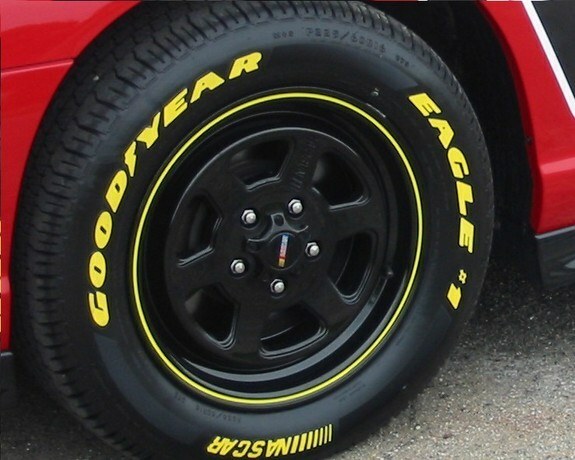 I never knew anyone to have them before, but a few years ago a yellow Monte Carlo on the forum found a set and got the same rubber too. The tire paint was good and fresh that day! 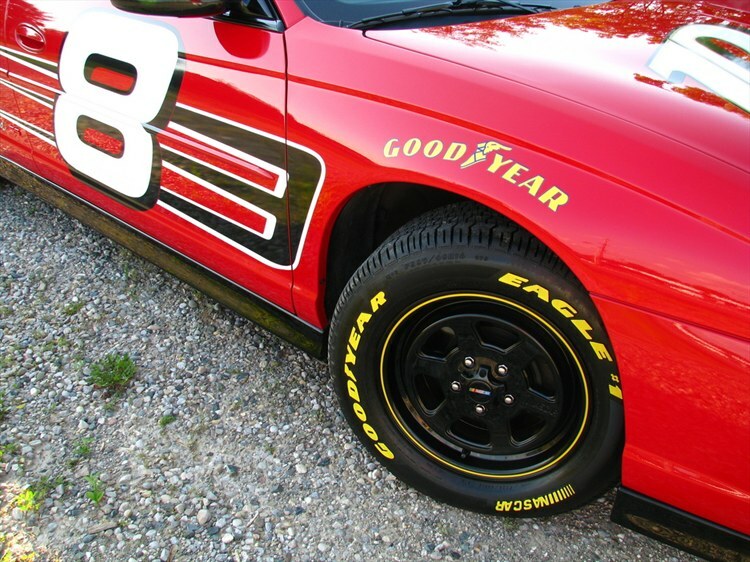 I've probably re-applied that tire paint a dozen times and I even re-did those fender decals last year to keep 'em bright! Last edited by JuniorCar; 03-14-2015 at 06:38 AM. It probably HAS been done before. JC is considering new rims/tires and it sparked me to start this thread. Even if you have played before..Thanks for playing now!! This is the only rim I have 2 show. wanted to contribute to this thread. That is some cool repurposing!!! Last edited by 80Monte; 03-14-2015 at 08:48 AM. Nice rims, Pat!! I just love chrome!!! 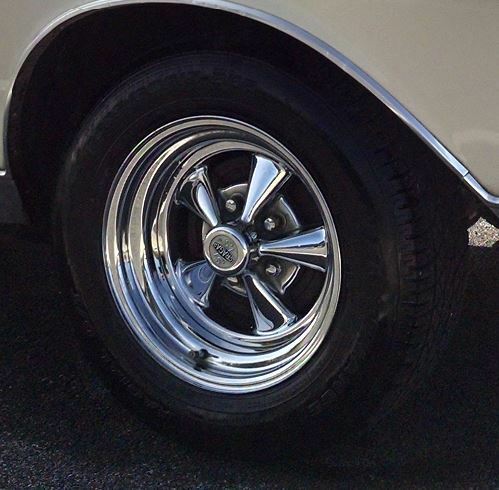 Quick Reply: Show off your Wheels/Rims!!! !